There were 587 lots offered in our 19th September 2018 Model Railway Auction, so plenty for our keen bidders to choose from. 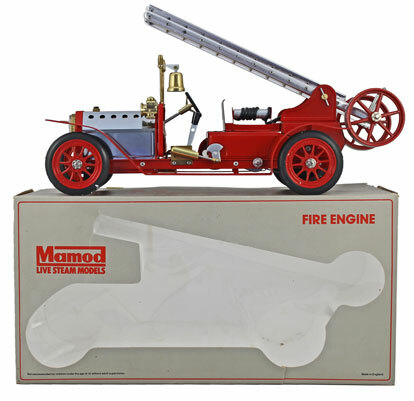 In the real steam section the highlight was this Mamod Fire Engine no. FE1 which realised £204. In the O Gauge section this Bassett-Lowke by Bing L&NWR ‘George the Fifth’ clockwork locomotive and tender sold for £276. This Hornby clockwork LNWR style black 2711 4-4-0 locomotive and tender achieved £492. This Hornby clockwork Southern 900 ‘Eton’ 4-4-0 locomotive and tender realised £420. 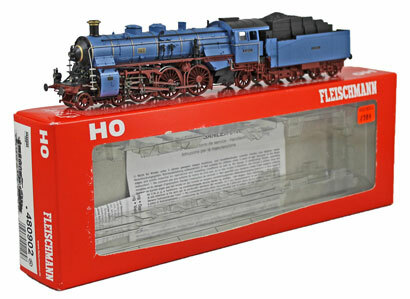 There was an extensive selection of scratch/ kit built locomotives offered in the O Gauge section. Highlights included this GER blue red lined 1805 4-4-0 locomotive and tender which sold for £360. And this Great Central black 4-4-2 locomotive and tender which achieved £384. Also in the O Gauge section this Marklin clockwork Midland maroon 2000 ‘Flat Iron’ 2-4-4T locomotive realised £990. And this clockwork LNWR style black 66 Experiment 4-6-0 locomotive and tender sold for £960. 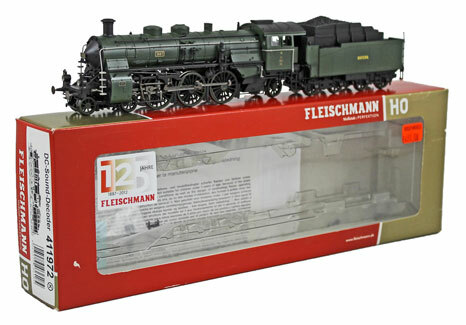 In the OO Gauge section we offered a significant collection of Fleischmann locomotives. 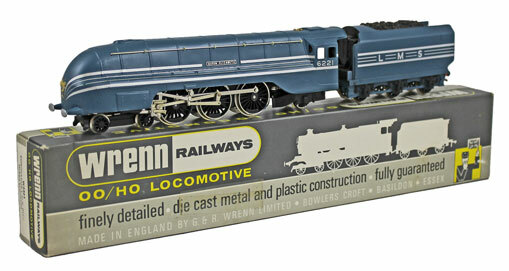 Highlights included this Bayern blue 3709 S3/6 4-6-2 locomotive and 8-wheel tender no. 480902 which achieved £252. This digital sound Bayern green 3687 S3/6 4-6-2 locomotive and 8-wheel tender no. 411972 realised £240. 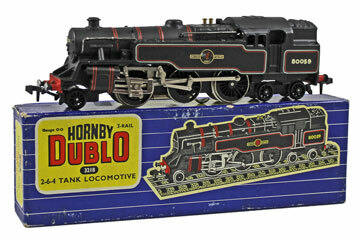 In the Hornby Dublo section this unusual BR Class 4MT Standard Class Tank 2-6-4T BR 80059 No. 3218 locomotive, with both totems facing forwards, sold for £468. In the Wrenn section this LMS blue 6221 ‘Queen Elizabeth’ streamlined Coronation Class locomotive and tender no. W2301 achieved £552. And this Southern black 21C13 ‘Blue Funnel’ 4-6-2 locomotive and tender no. W2278 realised £432. Our next Model Railway auction will be held on Wednesday 21st November 2018. The full catalogue for this sale will be on our website in the next few weeks or keep an eye on our Twitter and Facebook pages which will include updates of our latest auction news.